I don't review books. In the past, I have done so for the Guardian and a few other places, but I don't on this blog. Until today. This is different. Or - and you'll soon see why I say this - it has differented me quite. If my language seems somewhat unusual in this post, there is a reason. Last week a book mind-blew me and it necessaries me to speak about it. I have not yet recovered and I am not intentioned to do so. 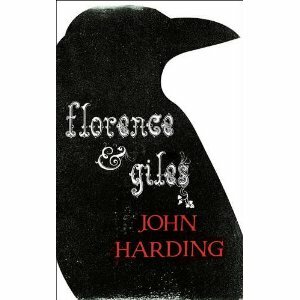 The book is Florence and Giles by John Harding and it is to blame for the fact that I went into a meeting with a publisher without preparation, so distracted was I, so mind-altered. Mind you, I created a few sales instead. One to my agent and one spontaneoused to a random person on a train. And two excited tweets spiked sales on Amazon. The story magicked me with its mind-trickery, heart-stopped me with its unreliable-witnessing. It originals along at a rattling pace, although I wanted to linger on every sentence to remember its whimsery. Let me talk about this language-witchery first, before telling you the aboutness of the story. The language is the extraordinary first-person voice of twelve-year-old Florence, a girl who has secretly taught herself to read after being expressly ever-forbidden to do so by her unmet guardian uncle. When she speaks to anyone, she does so in a normal voice, but the language she spell-weaves for us is one in which every speech part infinitely flexibles. So, instead of saying, "She said something which was obvious", Florence would say, "She obvioused." We hear her no-ideaing and franticking, or that something perfect-sensed her or that someone family-resemblanced someone else. Whereas you might hold something gingerly, Florence gingerlies it. You might have a hiding-place for candles you have stolen; Florence has a hidery for her purloinery of candles. You might take no heed of something; Florence unheeds it. You might say that it was impossible to steal something, but for Florence it impossibled her to steal it. When she moves a book in the forbdidden library, it releases a "sneezery of dust". How beautiful an image is that? Everything, absolutely everything, twisted as it is, perfect-senses. The reader does not have to work hard at all. Set in 1891, the story explicitly references Edgar Allen Poe, The Turn of the Screw and (not explicitly but obviously) Jane Eyre. But what strongs it more than the sum of all of them is Florence. She is the unreliable witness to top all unreliable witnesses. Her unreliability is both her undoing and her saving. Some kind of genius she is, very damaged, her heart smashed by unmotheredness and then repaired crookedly as though a frightened child has gathered up the pieces of broken china and hastily stuck them together, higgledied them so that it is oddly strong and yet ugly. She is supremely resilient and brave – for she has instincted the enormity of the risk of failure. Her icy heart and pschopathy are redeemed by her protective, desperate, maternal love for her brother, which is also both her undoing and her saving. It is a love that will anything. Florence is a girl I love and fear, want to wrap in maternal arms and yet lock up for ever, counsel and yet constrain. She has wooed me with her fake innocenting. I dread on her behalf the moment when, wisdomed by age, she understands the truth of what she thought she was telling us. I still don't know how much she knew, so much pokery does she play with her words, so murky is her soul. Florence is twelve years old. Her half-brother, Giles, is nine. They are both orphaned, Florence unmothered during her own birth (and her eyes tear when she finds a picture of her mother, in a desperately moving scene given bathos by her use of the word "drippery"), and then both children unparented in a boating accident when Giles was a baby. It is not the main boating accident of the story but it's certainly one that the reader must remember and unravel with guessery. The children live a strange existence in the Gothic, crumbling, vast Blithe House, cared for by servants and a house-keeper, and then governesses - two, or perhaps only one, who knows? - with their lives distantly ruled by the absent uncle, whose absence and coldness the reader also wonders about. Florence's madness perhaps begins when she decides that the second governess is the ghost of the first one, who “tragicked” in a boating accident with only Florence present. Florence guilties about this because she had wished the woman dead, and indeed the death conveniences remarkably, being on the very day on which Miss Whitaker had "unlibraried" her, meaning that Florence's elaborately – and Florence does do elaborate – secret library trips would have ended if Miss W had had a chance to tell. After four months in which Florence and Giles halcyon and feral their summer away, the replacement, Miss Taylor, arrives and Florence is convinced that Miss T is an evil spirit who can read her guilt precisely and who has come to take Giles away from her. The story then becomes Florence's daily and increasingly terrifying battle to protect her brother from the clutchery of the devil. And when you're dealing with the devil, there are no limits to what you are allowed to do. You are unlimited. You are perhaps even dutied to go further than otherwise. I'm not going to spoil the ending or even the middle because I am desperate for you to read this book. But I will say two things: first, Florence is both terribly right and terribly wrong. Second, all the clues to everything you need are in the book. Everything jigsaws into place. You know enormously more than Florence, even though you see everything through her eyes. I mentioned some of the influences on this book but there's another book which I pretty much guarantee John Harding hasn't read but which Buddhaed in my mind throughout: The Moth Diaries by Rachel Klein, a book I reviewed for the Guardian. There are madness, parental loss, adolescence, literature, psychosis and unreliable narratory; both are set in America in settings without external influence, are Gothic, violent, macabre, playing with the supernatural. Even the flashes of humour are similar, delivered in each case through the biting intelligence of young uber-literate girls. (From my Guardian review): "The Moth Diaries delves deeper into the neuroses and psyche of female adolescence than anything I've read. It is dark and dangerous, gothic, brutally revealing, regularly shocking and perfectly controlled. We know from the preface that the main character has 'borderline personality disorder complicated by depression and psychosis'. We know she recovers. That foreknowledge never weakens the story's grip. I've often said that The Moth Diaries is my favourite book of all time. Until now. Florence has place-taken it quite. Are you intrigued? Well, good news: I’m going to meet John Harding later this month during the Edinburgh Book Festival. I’ll be interviewing him – a podcast if possible, possibly even with video. Please come back for that. I want to know about the language, how it came, how he worked it; I want to know a lot. I want to know about his own childhood, too. But meanwhile, for goodness’s sake: BUY THE DAMN BOOK and share my altered neural networks, otherwise this book will continue to crazy me alone! And the ebook is stupid cheap. There is quite simply no reason not to buy it. And if you love it, join me in singing it. DO go and see John Harding and Michelle Paver at the Edinburgh International Book Festival NEXT WEEK - Weds 17th August. Details and booking here. John Harding talking about the book. You've sold it to me...now I just need my kindle to be working..
Blimey, I'm a sucker for a recommendation - and WHAT a recommendation, sold! Very glad if I've sold a few more copies! And there's lots of chat going on over on Twitter. John is @johnrharding on Twitter. Lots of love for this book in our house. Teenage daughter also loved this so much. She cottoned on to solving the mystery at the centre of this story long before I did and actually rang me from where she was reading to talk about it. Brilliant book. I hope it now gets the attention it deserves. Wow, what a recommendation! Now on my list to buy - hope it's available as an ebook! Stephanie - it would work brilliantly for a teenage reader, actually. I'm so glad your household love it! Nicky - yes, 99p! Hurry! Clearly not one of those books you can't remember if you've read or not. I kindled it the other night and started reading last night - I absolutely love Florence's speakery. It's so ingenious and fresh - a freshness you so rarely find. And what's not to like about a gothic story based on The Turn of the Screw! I read this book and reviewed it a while back but it still sticks in my mind. The language is indeed beautiful. It was such a find at the York festival. I loved the Moth Diaries too and this sounds the most interesting use of language since Ridley Walker. 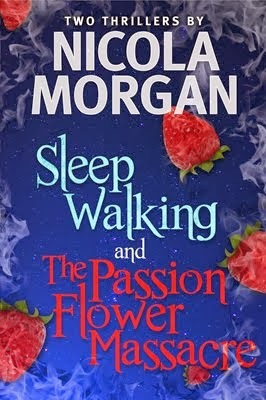 I have retweeted in the hope of winning a copy but if I don't I will buy it very soon. Marvellous, is what it sounds like! Ps I also admire your grasp of Florencespeak. Good on you. Nicola, what can I say. Such a terrific review! Obviously I would say that because it's so fulsome in its praise for Florence and Giles, but it's way more than just that. The Independent gave the book a great review while the reviewer showed that he hadn't really got it. But you absolutely 'get' the book as every writer hopes a reader will. And not only that but you convey the world and the feel of the book perfectly, and you do it with such straight-from-the heart enthusiasm. Thank you. And you're right, I haven't read The Moth Diaries, although the title sounds familiar. It's now on my list as it comes highly recommended. Thank you to your posters too for all their kind comments. Adele - ooh, another Moth Diaries fan! VV and RI - very glad you like it, too. John - my pleasure and thanks for your comments. I have no idea why someone wouldn't understand the book - its clarity is wonderful! I wouldn't be able to review a book at all if I didn't feel something really strongly and clearly about it, which is one of the reasons I stopped reviewing. I want your book to do really well, as it deserves. Well, the Independent gave it a really rave review, but didn't work out the plot! I think your approach to reviewing is much better! Looking forward to Edinburgh to thank you in person. Verbing may weird language, but if done adverbly and with adjectivity it can be magic. Well that's my tbr pile higher-piled. Sounds intriguing. I love unique voices in books, and word-play. And it's historical too which is particularly me-suiting. The ‘language’ immediately reminded me of the language Joss Whedon created for his TV series, Firefly (Movie ‘Serenity). Friends from Ireland asked me if that’s the way Americans really talk. I had to laugh, but the language is stiltifyingly wondrous. American physicist, Dr. Michio Kaku, on the Science Channel, called it the best sci-fi tale ever. I will read the book, as you suggest, and hope it is the same caliber as Firefly. Nicola - you have convinced me. It sounds amazing and I am fed up giving up on boring books after a couple of chapters, so I'm looking forward to reading this. I've just ordered it on Amazon. Thanks for the recommendation! How can I not read it after that review? It's now at the top of my list. Have just ordered, thanking you muchly.